The University of Florida’s Herbert Wertheim College of Engineering’s C200 Summit to celebrate women in leadership, held at the Reitz Union Ballroom on UF’s campus in Gainesville, Florida. 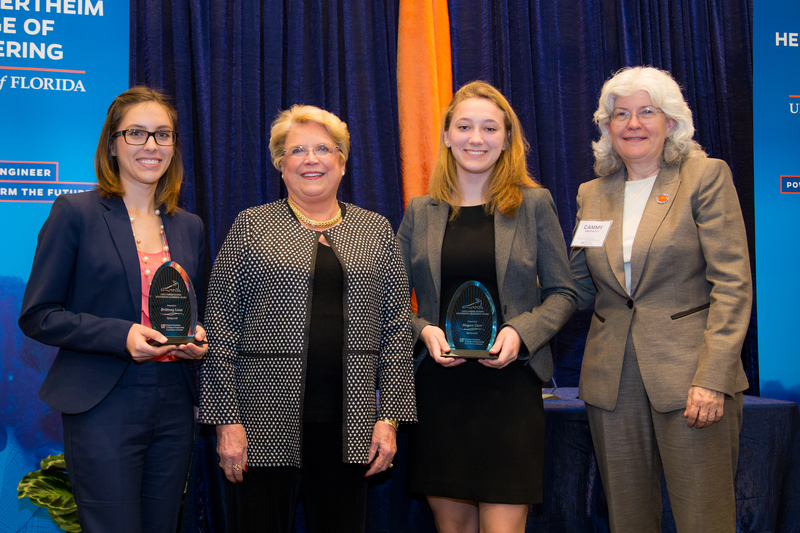 The Linda Hudson Engineering Leadership Awards were presented to members of the Student Leadership Advisory Board of the Engineering Leadership Institute. Linda Hudson is an active members of the Herbert Wertheim College of Engineering Dean’s Advisory Board and the Engineering Leadership Institute Advisory Board. Ms. Hudson has not only received the Engineering Leadership Award from the College, she has received the Distinguished Alumni Award from the University of Florida and just this past December received the highest distinction from the University, an honorary doctorate of science. Ms. Hudson established this fund in order provide leadership experiential learning opportunities for students outside of the their normal studies in engineering. In 2014, two students were awarded an opportunity to represent the Herbert Wertheim College of Engineering and the University of Florida at the 2015 McDonald’s Cadet Leadership Conference at the United States Military Academy at West Point and receive the Linda Parker Hudson Engineering Leadership Award, in honor of Ms. Hudson and her stellar career and exemplifying what it means to be a Gator Engineer.